As we've learned by the apparent return of Chris Pine's Steve Trevor for Wonder Woman 1984, being dead doesn't preclude a character from returning for the sequel. The latest to make a comeback is Robin Wright's badass warrior Antiope, who perished saving Diana (Gal Gadot) in the first film. Unlike Steve Trevor, this won't be a return to the land of the living for Antiope. 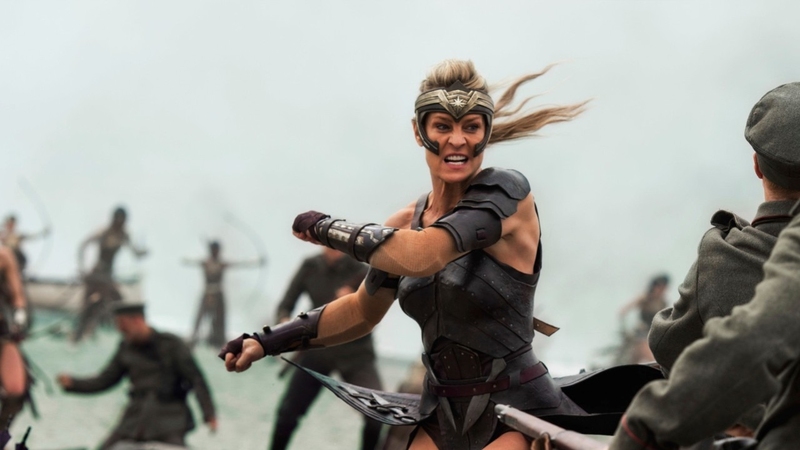 A recent Porter profile confirmed Wright will be shooting flashback scenes in Spain featuring the fallen Amazonian general, joined by Connie Nielsen as Themysciran queen Hippolyta. We don't have any details on what the scene entails, but something tells me it will tie into the origin of the movie's villain, Cheetah, played by Kristen Wiig. Whatever the case, it's a good move because Antiope was such a formidable presence in the first movie, and her death had a profound impact on Diana that carried on throughout. Wright was incredible in the role, as well, and any chance to see her reprise it will be worth it, even if we only get a few minutes. Wonder Woman 1984 opens November 1st 2019.